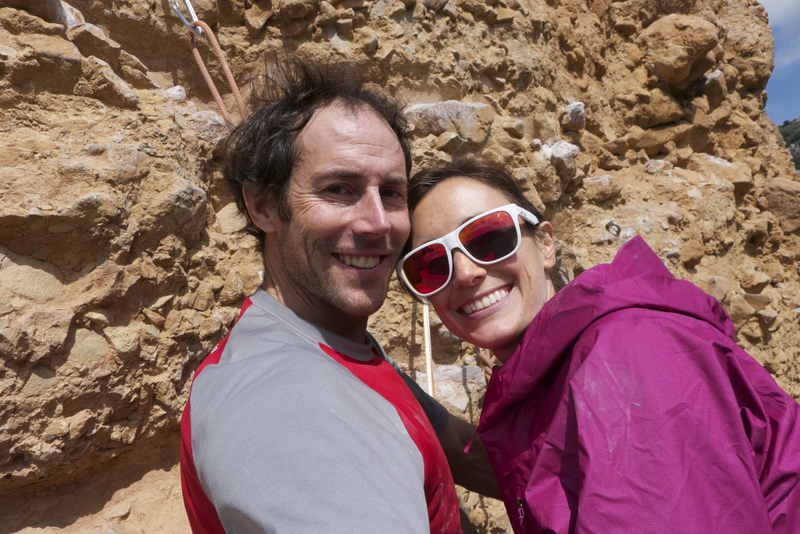 Starting off our four month long trip in and around Europe, Chris and I spent the past week in the climber paradise known as Rodellar in Spain. 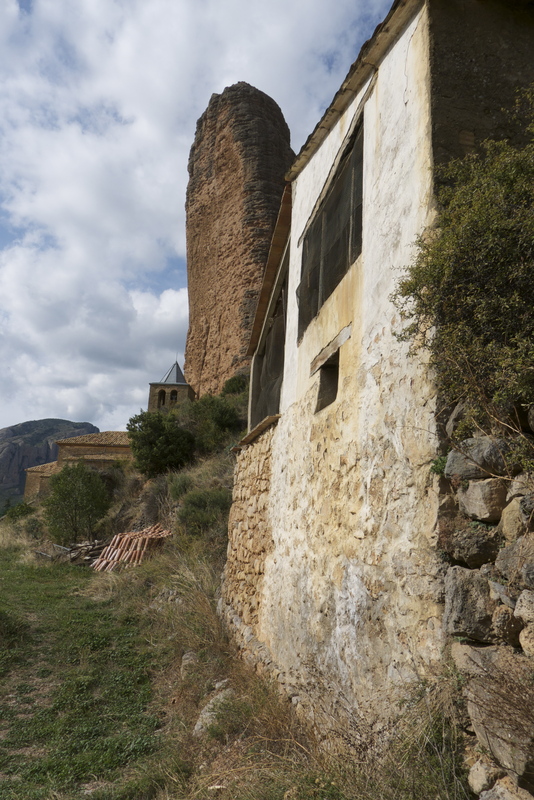 Rodellar is a quaint and stunningly beautiful town composed primarily of climbers, canyoneers, hikers, and bird watchers. When we first arrived, we feared we had brought the Boulder flooding to rural Spain. We were within a few miles of the town when it started pouring rain and hail. This could be it- the end of the climbing season in Rodellar before it began. This climbing area is famous for its climbing on tufas, the columnar rock features that appear to be dripping wax down the wall. Once it rains hard and long in Rodellar, the rock seeps and can stay wet- meaning no climbing. 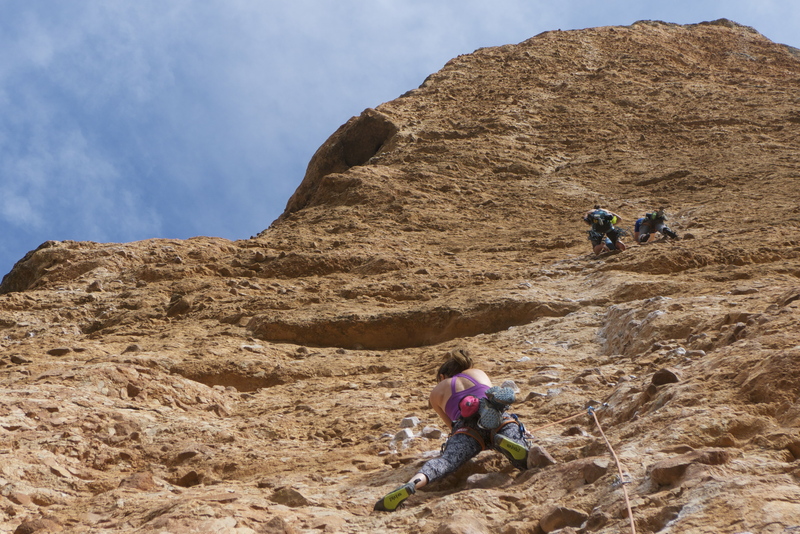 Luckily, the rain and hail were short-lived, and we were able to climb select routes in a variety of the crags. Once in Rodellar, you never have to drive anywhere. There are small markets and a few restaurants within walking distance through narrow winding streets. We stayed in an apartahotel where we could open our back windows to the view of cascading limestone cliffs, cottonwoods changing colors, and raptors soaring overhead. 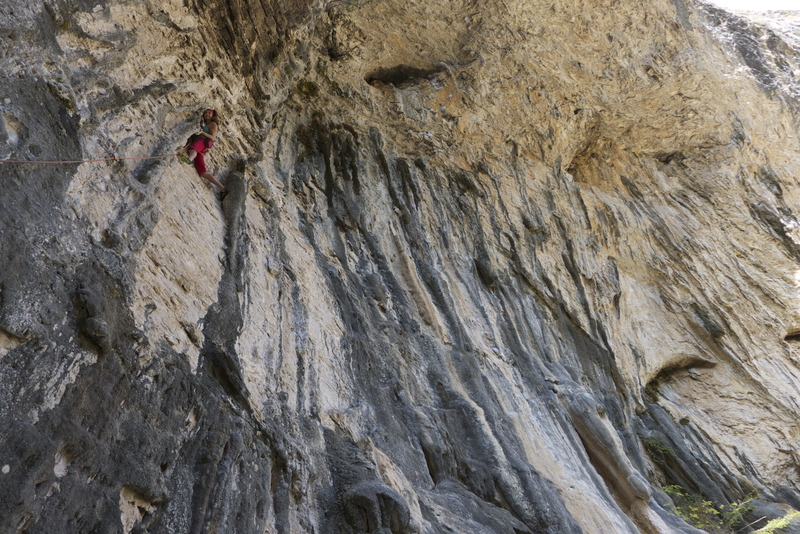 Of course the single pitch sport climbing was amazing to say the least, but the most memorable climb we did was actually in Riglos, a tiny town an hour and a half away from Rodellar. 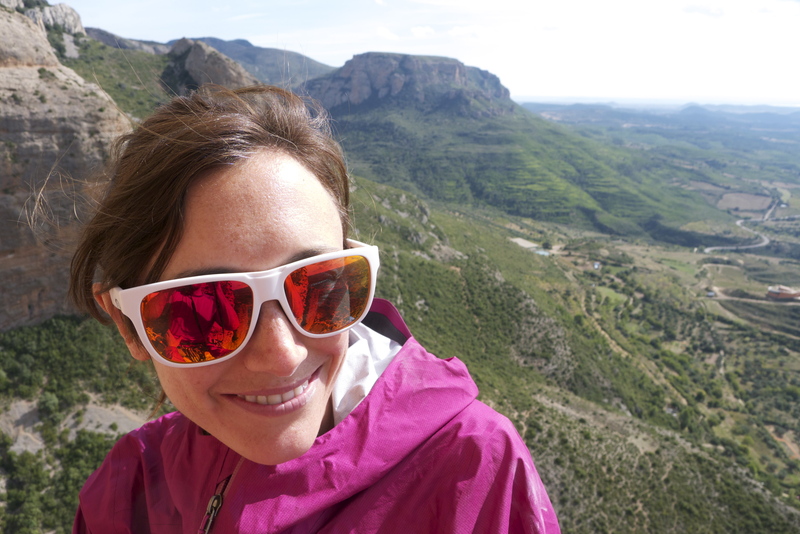 Chris had researched a famous multi-pitch sport climb in Riglos called Fiesta De Los Biceps and it looked amazing- we had to check it out. 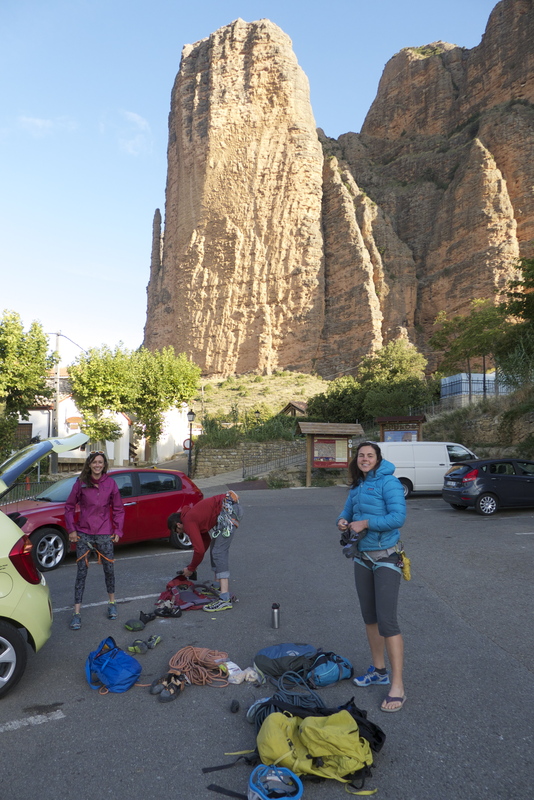 We met two Canadian climbers in Rodellar, Jasmin Caton and Evan Stevens, that were also excited to check out the climb, and so we all set out together for a day of adventure. Approaching Riglos, it looked like we were entering a Spanish version of Canyonlands, Utah. 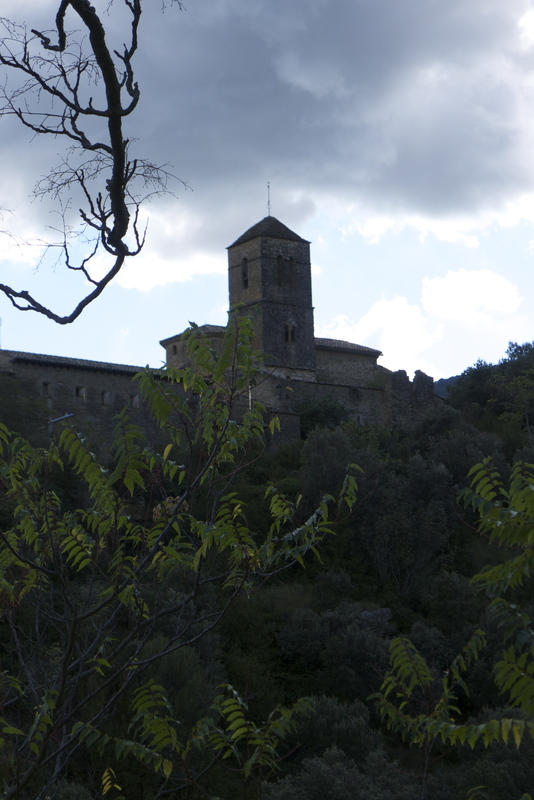 Multiple towers of cobbled conglomerate rock jutted up nine hundred feet with a picturesque old village embracing the base. 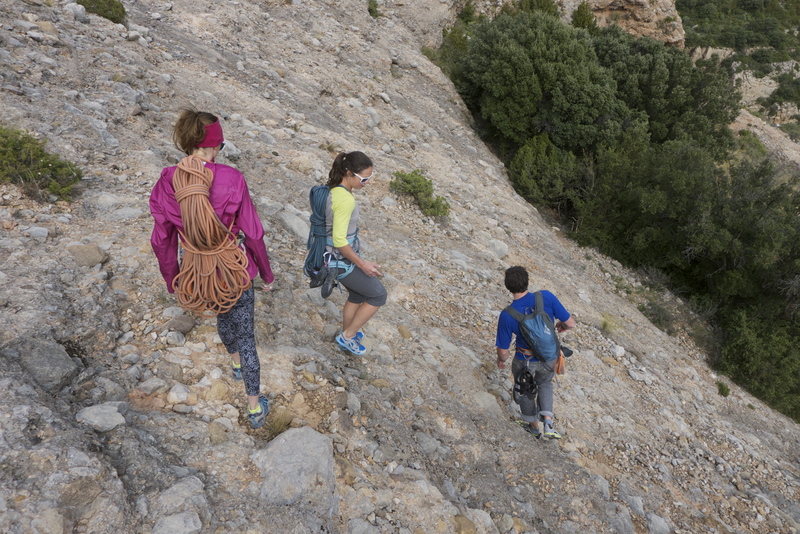 As the name of the route implies, you can imagine how steep and pumpy it was to climb. It was an eight pitch 5.11d, with the second pitch the only 11d which Jasmin and I both lead for our respective parties. The boys were happy about that decision, for unlike the rest of the route, this pitch was hyper-technical on small crimps, with palming, stemming and a prayer your feet wouldn’t slip. 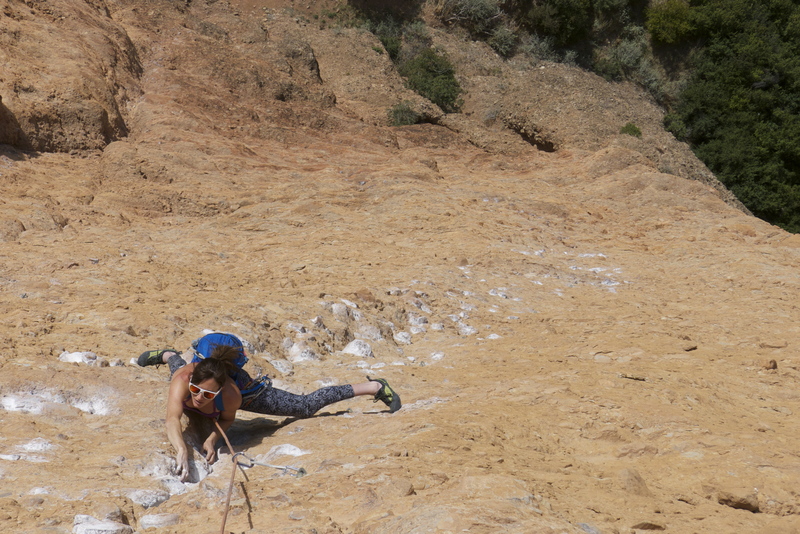 The rest of the climb was, well, a party of the biceps (and forearms)- ridiculously steep on bucket- sized holds and some of the most exciting climbing I’ve ever done. Adding to the excitement of the route, Chris was leading pitch three and as I was looking up at him from the belay, a BASE jumper flew past us and down the face of the cliff. Chris about had a heart attack, but I thought it was one of the coolest things I’ve ever witnessed. 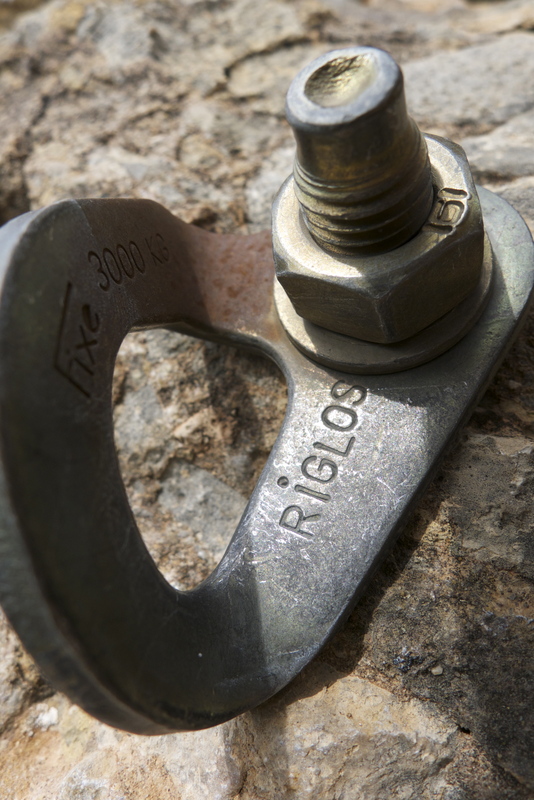 Riglos was nothing less than spectacular and one of the best climbing days I’ve ever experienced. And tomorrow we are off to Bulgaria, where we will meet up with Heidi Wirtz to explore the limestone and sandstone sport climbing outside of Sofia. Looking forward to our next adventure! I want to give a shout out and big THANK YOU to Smith Optics for their support. These guys have really nailed it with quality, performance, comfortability, and fashion. I highly recommend their shades!